KAGOSHIMA, JAPAN – The Uenohara Jomon-no-mori Archaeological Museum hosts the largest and oldest remains of a permanent ancient settlement in Japan. 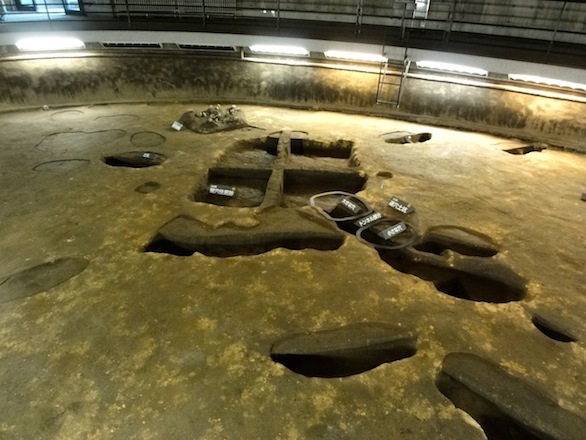 It is a nationally designated historic site where the remains of a 9,500 year old Jomon Period village have been discovered. 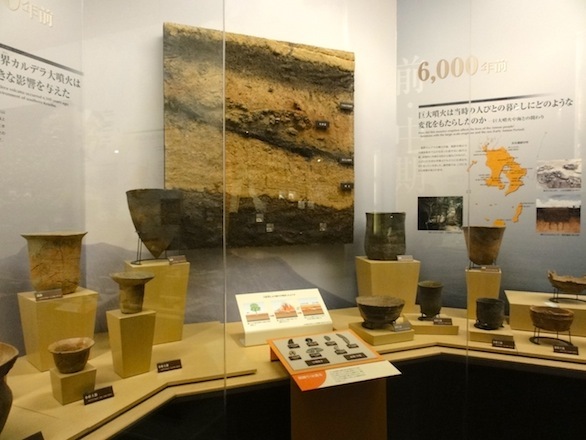 The museum displays a vast collection of earthenware and stone tools. Exhibits show the artifacts in their geological context. Pyroclastic material ejected from nearby Sakurajima have blanketed the site, developing a well-defined stratigraphy over the last 10,000 years. 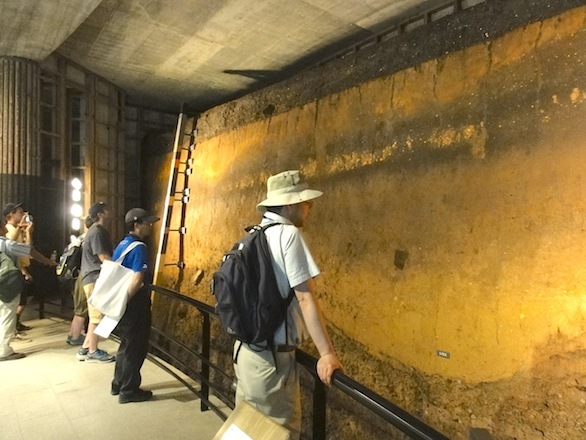 In the Earth Stratum Observatory, the volcanic deposits are exposed in situ on a wall that was carved into the ground. Visitors can view the in-place volcanic stratigraphy in air-conditioned comfort. Dating of the volcanic materials allows archaeologists to date the site. About 9,500 years ago, a settlement consisting of about 52 pit dwellings occupied the site. In the strata that were deposited about 7,500 years ago, numerous earthenware vases and bowls were discovered, along with stone axes and other implements. Deposits dating between 2,000 and 2,500 years ago hosted storage pits, a fence, and raised buildings. The relics preservation dome displays pit dwellings, stockpile holes, and pebble clusters in their original excavated state.